Update: Minecraft snapshot 16w39c has been released! Seven years and counting, Minecraft is still growing and expanding. We thought it is about time we add something to guide you through the vastness of the endless overworlds. 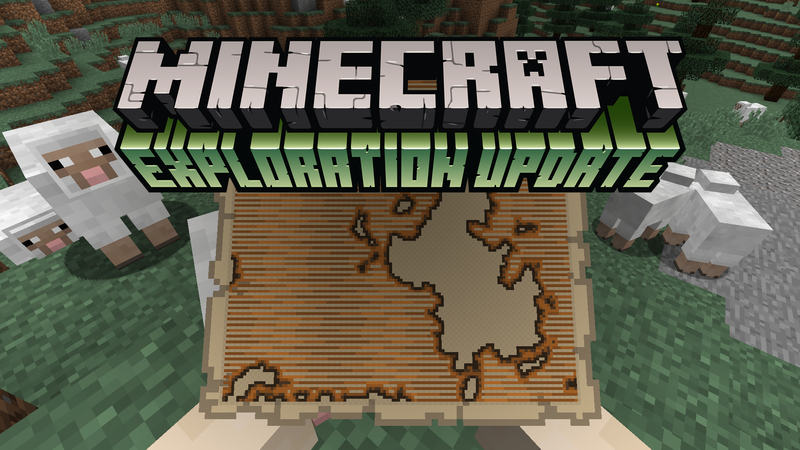 Introducing the Exploration Update! Among your villager friends, you will now find the Cartographer residing in the library. Spend your hard-earned emeralds to obtain maps leading you to adventurous locations such as the Ocean Monument and the new Woodland Mansion. This procedurally generated dungeon is the home of the villager’s outcast cousins, the Illagers. This insidious and spooky crowd will not tolerate any trespassers in their home, so you should expect a fight when you venture there for the mansion’s treasure. Speaking of transporting items, Minecraft now hosts llamas! The llamas live in the mountains and can be equipped with chests to carry items for you. Well-mannered as they are, they will also politely form caravans whenever you lead one in your travels. [Bug MC-107383] - Coloured shulker boxes give off purple particles when being broken. [Bug MC-107479] - Shulker box interactions doesn’t appear in the Statistics like other interactions. [Bug MC-107510] - Curse of Binding doesn’t affect mobs wearing items. [Bug MC-107573] - Sound event name of shulker box is miscategorised as entity, instead of block. [Bug MC-107586] - Items with Curse of Vanishing are dropped by mobs that hold them sometimes. [Bug MC-107643] - Wolf is indecisive around llamas while hostile toward the llama. [Bug MC-107166] - Experience bottles produce pink particles.